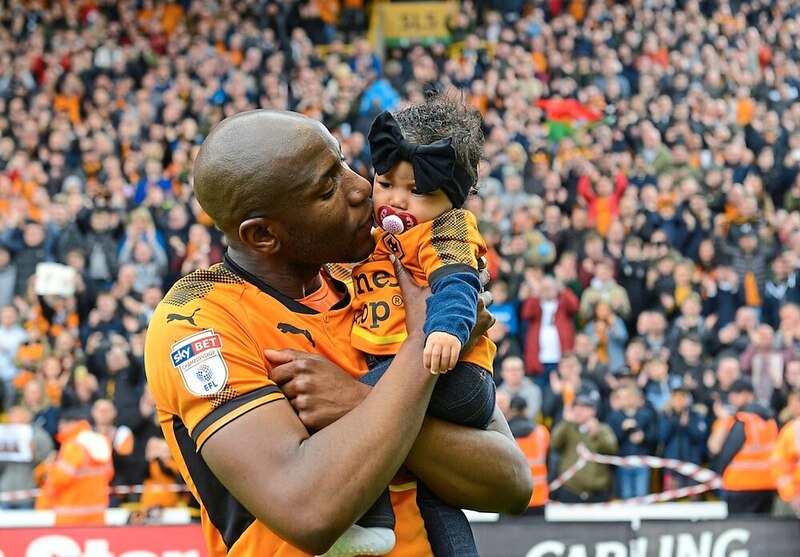 Benik Afobe said moving back to Wolves was all worth it after he helped the team clinch promotion. Afobe has netted five times in his past nine appearances including the second goal in yesterday’s 2-0 win over West Midlands rivals Blues at Molineux. The 25-year-old came off the bench to take fellow substitute Alfred N’Diaye’s pass and chip over keeper David Stockdale. The striker said: “It’s unbelievable – words can’t describe how I feel right now, how the squad feels, how the fans feel, the staff. “It’s unbelievable to be part of it and to come on and score is special for me. “Even though they had 10 men its a West Midlands derby, at 1-0 they’re going to want to get a point, they’re fighting to stay up. “We knew we had to play properly. There were celebrations on Saturday night but we were focused. Afobe rejoined Wolves in January on loan from Bournemouth, two years after leaving the club in a £10million deal. He spoke of his love for Wolves when returning and has since stated he’d like to stay on a permanent deal. There is a move in place in the summer should Wolves want to sign the striker, who has netted five times despite only making five starts since his deadline day switch in a loan deal that cost Wolves £1million, as well as Afobe’s weekly wages in full. He added: “It’s all worth it. When I came here I had a point to prove. “It’s two years since I’ve been here, with all due respect the team have moved on and got better so I had to up my game as well. “I wasn’t going to rest on my laurels on doing well in the past.